The Niabell Table Grape variety was first developed by Harald P. Olmo in the United States in 1942. Its pedigree consisted of an inter-specific crossing between the Early Campbell and Niagara varieties. 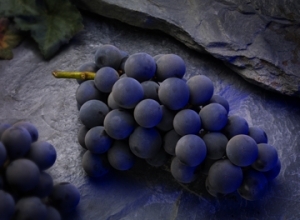 Niabells are a large blue-black seeded grape that is similar to Concord, and best grown in mild winter areas, such as our San Joaquin Valley. Over a decade after it’s creation, the Lagomarsino Family planted their first Niabell vineyard in 1956 in Tulare County. It’s continued growth in popularity coupled with quality production has made it a staple variety in our farming operation over the years. We take pride in providing a crop of quality to the consumer, and greatly appreciate your feedback. The normal harvest season begins in late July and runs through late September, and sometimes early October. This particular variety does not hold in cold storage for an extended period of time, which unfortunately only makes them available during their normal harvest season. Trinity Fruit Company handles our sales, so we pick daily based on their orders. We suggest that you communicate with your local market and request that they purchase early and keep a supply on hand until the end of the season. The Lagomarsino Group would like to thank you for your interest in our Niabell grapes. The Lagomarsino Family planted their first Cherry block in 1981. The planting consisted solely of the King variety, but the Brooks and Tulare varieties followed shortly thereafter. Decades of consistent quality production have made new cherry plantings possible while also cementing them as a leading producer in the Lagomarsino Farming operation. We currently have four varieties, which consist of Brooks, Tulare, Coral Champagne and Rainier. 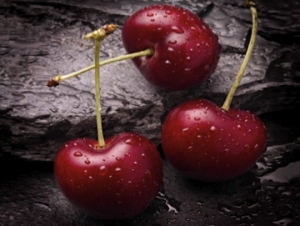 Cherries can grow in most temperate latitudes and also have a very short growing and harvest season. The peak harvest season for cherries is in the summer, which translates to May and possibly June for our cherry varieties. After decades of experience and its continued growth and success, the cherries have become a welcomed specialty within the farming operation. We welcome any questions or comments you may have regarding our cherries. The Lagomarsino Family planted their first Blueberry block in the fall of 2002, and the blueberry acreage has continued to grow ever since. The current blocks consist of nine different southern highbush varieties with Emerald, Jewel and Star being the main producers. Southern highbush blueberries are low chill varieties, while also having a greater tolerance to high summer temperatures. These growing conditions make them particularly suitable for our valley, while also allowing them to thrive and develop superior fruit quality. Highbush varieties grow in clusters and usually dont all ripen at once. Blueberry bushes typically bear fruit from May through October, while our varieties provide us harvestable fruit during May and June. Each harvest season, the Lagomarsinos pack their own fresh blueberries, while also offering custom packing to local growers. 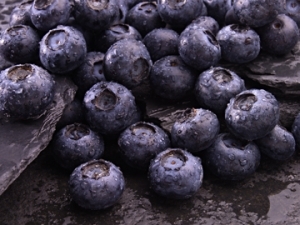 Blueberries have received more attention in recent years because of their many nutritional benefits. Blueberries are packed with Vitamin C, they’re high in fiber, virtually non-fat, and an excellent source of manganese and antioxidants. As their popularity rises, so does our belief in their continued success within our farming operation. We welcome any questions or comments you may have regarding our blueberries.